“ISE is a great opportunity for us to demonstrate our newest signage solutions to our customers and discuss how iiyama products can meet their needs and help them answer challenges they are faced with. Among others, we will showcase our new 4K UHD digital signage display with a stunning 98’’ diagonal and a whole new Open Frame PCAP touch series with bezel-less design available in four sizes starting with 10’’. So, whatever your business scale is, we invite you to come to our stand and let us guide you through the full iiyama touch and signage experience.“, says Jeffry Pettinga, iiyama’ s European Sales Director. The iiyama 4K displays showcased at ISE will represent two different series. The 40-series features an Android signage operation system and CMS, an easy to use content creation and management app turning the screen into a simple all-in-one solution. The 50-series guarantees vivid, life-like colours, high-details and continuous performance. 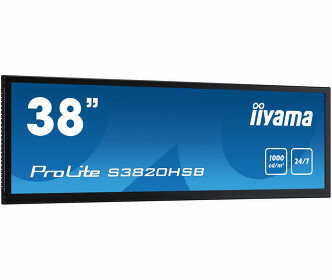 At ISE iiyama will present the 98’’ version of the screen – the biggest screen in the company’s portfolio. If visibility is your main goal, this screen is your best bet. Available starting Q2 2108 (43, 50, 55, 65, 75, 86 and 98 inch). Visitors to the iiyama stand will also have the possibility to get familiar with the new 38-series Open Frame PCAP interactive displays replacing the popular 37-series which can be found in stores and restaurants all around the world. These elegant looking but very robust displays are IP54 rated and feature an edge-to-edge glass front, allowing customers to install them in almost any set-up, including kiosks and table-tops. The screens are available in 32, 43, 49, 55 and 65 inch and feature Full HD (32 and 43 inch) or 4K UHD (49, 55 and 65 inch) resolution. Available from February 2018 starting with the 32 and 43 inch. 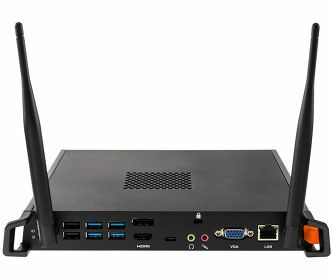 Customers looking for the perfect kiosk integration solutions should pay special attention to the brand new true flat Open Frame PCAP touch 15-series with bezel-less design to fulfil various applications needs. They are built into an eye-catching bezel with edge-to-edge glass guaranteeing high durability and scratch-resistance. Equipped with a foam seal finish this series supports seamless integration into almost any environment. Available in four sizes: 10.1, 15, 21.5 and 23.8 inch, starting Q1 2018. Come, visit iiyama at ISE in hall 10 at stand N-195 at the Amsterdam RAI conference center.